I settled into my studio today as I began to enjoy a four day weekend...at home! I love being home and am looking forward to a little "at-home" sewing retreat of my own. give my sewing machines and tools some much needed TLC! Love this idea. Click HERE to check it out. 1. LINT CHECK: Pull out those screw drviers, remove the foot plate and bobbin and clean out the lint. Perhaps add a a few drops of oil. 2. 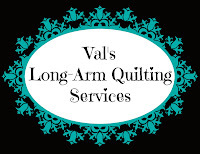 CHANGE THE NEEDLE: I am much better about changing the needle on my long-arm than I am on my sewing machine. Admittedly, I wait till a needle breaks to even think about changing it. With tha said, I can't even pluck blood from my finger with my current needle! Egads right! Seriously, my stitches are better, tension wonderful and my machine hums now. 3. CHANGE YOUR ROTARY BLADE: Why do we allow ourselves to struggle with cutting? I read, as soon as the blade starts to skip and not cut through the same amount of fabric consistently, change it. Don't wait. Oh and while you are at it, also wipe the lint from the rotary cutter. 4. CHECK YOUR SEAM RIPPER: If you use a ripper for your stitches check to see if the pointed end feels dull. If is is, buy a new one. I'm learning they don't last forever, and the dull end actually makes it harder to rip those stitches out as I find myself catching fabric more. I also got my long-arm back from getting it's first over-haul of maintenance and parts replaced since I bought it six years old. OH you should hear it hum. I'm humbly reminded that our machines are an investment that need the same maintenance and TLC that our cars and other appliances with motors get. Soooooo now I'm curious to know if you are better at routine machine/tool maintenance than me? And if so, please do share how you remind yourself to do so as for me, time seems to pass so fast. No, I fear I am as naughty as you re maintenance. Great hints in this post, Val. Enjoy your four day weekend sewing. 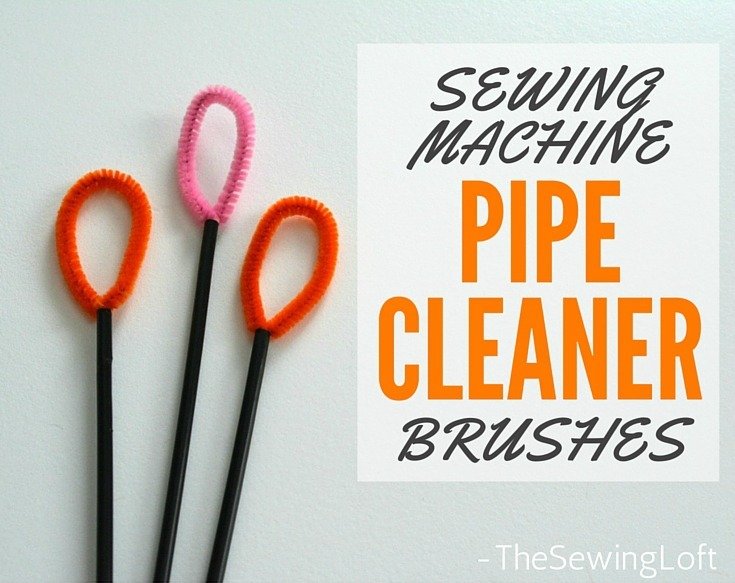 I clean my home machine every 8 bobbins as well as the needle. It's cleaned after every quilting. If it is a 'rough' quilting project, the needle gets changed, too. My home machines have an annual spa day so those hard to reach (or I don't want to tear my machine down that far) spots get cleaned and oiled properly. I haven't set up the longarm yet, but have the required cleaning, oiling, etc.. charted to I am sure to follow care. I have a sticky note on my calendar that says Longarm. When I turn up the calendar to the new month, it is sitting there to remind me to oil the machine and grease the gears. I do that and move the sticky note to the next month to remind me again. I clean out the bobbin race after every pass as the lint builds up so fast there. Thank you for the maintenance reminder. :) I was given one of the lint cleaners and I love it! Simple but effective. I have two of those pipe cleaner brushes that I got from a quilt shop, and I've worn them out!! Time to make myself some new ones :) The other thing that works great for cleaning lint is baby bottle brushes. The downside of that: when I bought mine on Amazon, they decided I must be expecting a baby and put me on all the new Mom lists!! I don't need diapers....yet. With my longarm, I will put a little oil in the bobbin race (only place I can oil on her, all the rest are sealed) every night, when I put her to bed, I'll remove the bobbin case and needle plate, clean everything out and give her a drop of oil. I replace the needle after a couple of large quilts...if I do intense quilting, I might change the needle after that quilt. I've had my longarm for 10 years and she's still going strong with no visits to the spa! My sewing machine...yeah, I break a needle and I'll replace it. After most projects I'll clean out the bobbin area, but I've had the DSM for 8 years and it has been to the spa once...guess I need to take it in again after I finish the project I'm using Cuddle fabric on...she'll need it! Rotary cutter...yeah, it has to be really bad to change that blade, but I do clean out the lint more frequently!! Thanks for the reminder to take better care of my DSM and rotary cutter!! Mmmm machine maintenance. Well its a bit sporadic but does get done. I always give my machine a thorough clean to get all the lint out before I start quilting as that way I know the whole process should go really well with no problems. After quilting I also clean the machine so it's ready for general use again. However in between quilting I tend to forget about it. I think my brain believes piecing blocks doesn't cause a build up of lint. As for changing the needle well I sit and look puzzled if the machine isn't sewing right and after trying everything else I usually go 'oh of course it needs a new needle.' Why do we leave the easy option to last when there's a problem? Thanks for the reminders. I needed this today! I've learned to do maintenance when I rewind all 6 of my bobbins. It's helped a lot. Thanks for sharing your checklist. I have always taken my machines to my favorite sewing and vacuum store for maintenance on an annual basis. Because I have so many machines, I don't take them all at the same time but spread them out so something is being serviced about once per month. Unfortunately, the store is relocating to another state at the end of February. The good news is that the owner held a free class for his patrons last week that taught us how to clean and maintain our machines. I just track the heavy cleaning reminders by putting it on the calendar. I love your extra tips about the rotary cutter blade and seam ripper.